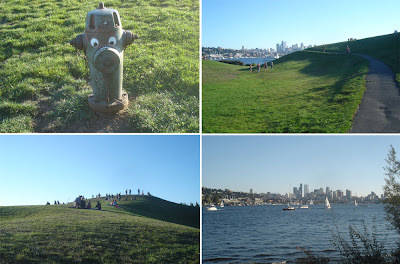 On Sunday, Joanna and I went to Gas Works Park. 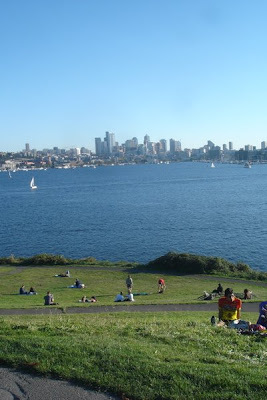 From Wikipedia, Gas Works Park is on the site of the former Seattle Gas Light Company gasification plant, located on the north shore of Lake Union...Gas Works park contains remnants of the sole remaining coal gasification plant in the US. 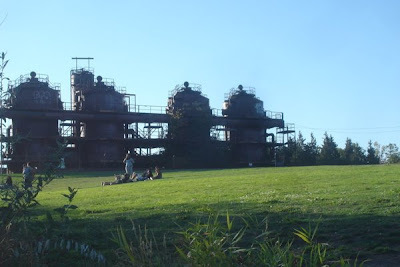 The plant, which operated from 1906 to 1956, was purchased by the City of Seattle for park purposes in 1962, and the park was opened to the public in 1975. 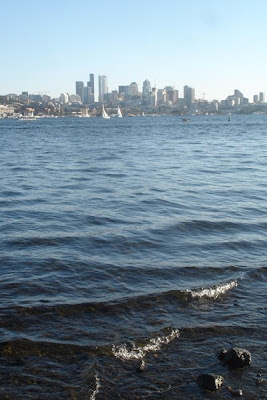 Bottom left is the kite hill. 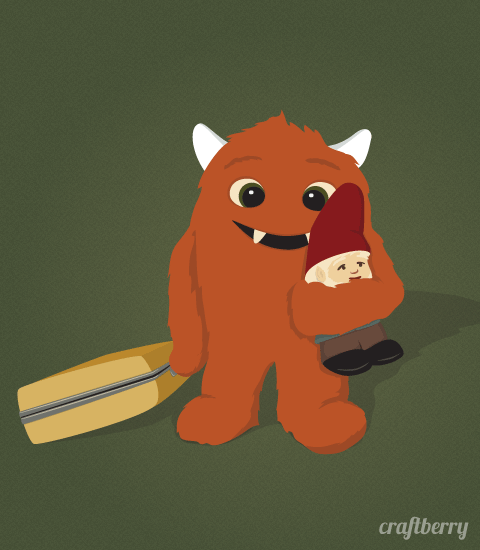 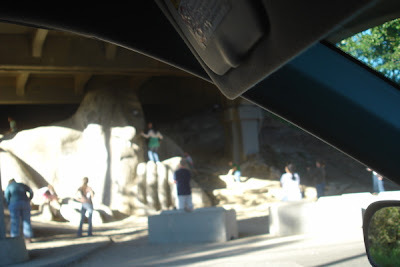 On the way to the park, we inadvertently found the troll under the bridge, also known as the Fremont Troll. 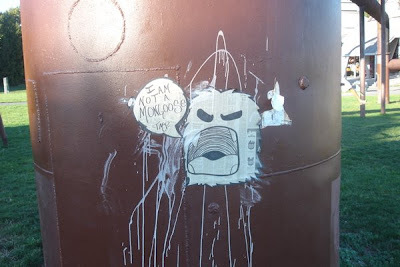 It's under a bridge at 36th and Troll Ave. 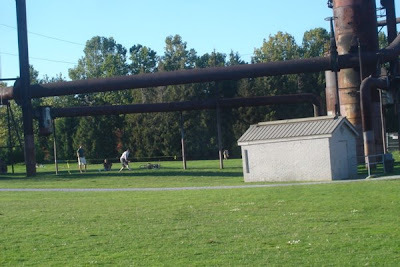 These guys were working on their tightrope skills.